We are proud to announce that Nina Nguyen Designs has its Gem Elite Necklaces exclusively on “Good Morning America” online. Complete your holiday shopping with these beautiful Birthstone necklaces. These make the perfect personalized gifts for your friends and family. 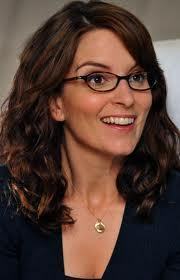 Tina Fey has been best known for her work on the hit series 30 Rock. In many episodes, her character Liz Lemon, is shown wearing a very similar necklace to the Gem Elite Necklace by Nina Nguyen Designs! Nina Nguyen Designs Gem Elite Necklace comes in a variety of gemstones that are associated with your birth month, in an array of beautiful colors. Stunning and simple on their own these beautiful pieces add a sweet touch to any outfit. Birthstones are supposed to bring you healing powers and protection when worn during the month it was designed to. These necklaces will be available only on gma.nina-nguyen.com, through which there will be an exclusive sale price.